Gifts from the Pirates: "You know what they say. The female is the deadlier of the species." "You know what they say. The female is the deadlier of the species." AAAAGGGGHHHH!!!!! Is pretty much the only way I can describe how I felt when I first read that this LEGO kit was actually going to be released. I'm quite sure that people would tell me to grow up if they knew me, but as a 36-year-old LEGO geek, there are certain LEGO releases that have almost tipped me over the edge. When you combine my brick obsession with a lifetime love of Marvel comics then things can go into nerd overload. Don't get me wrong, ALL LEGO kits get my creative juices flowing but every now and again there will be a kit that really excites me, more than the others. The last time this happened was with the release of the Guardians of the galaxy movie kits as the comics were such a big thing for me growing up. So I'm sure you can imagine just how excited I am about the kits that accompany the Guardians of the Galaxy vol 2 movie, which is released later in the year. The kit that has got me so excited recently though is Marvel Super Heroes Hulk Vs Red Hulk 76078, surprisingly not for either of the hulks, despite how awesome they are and how great they will look displayed with our collection. 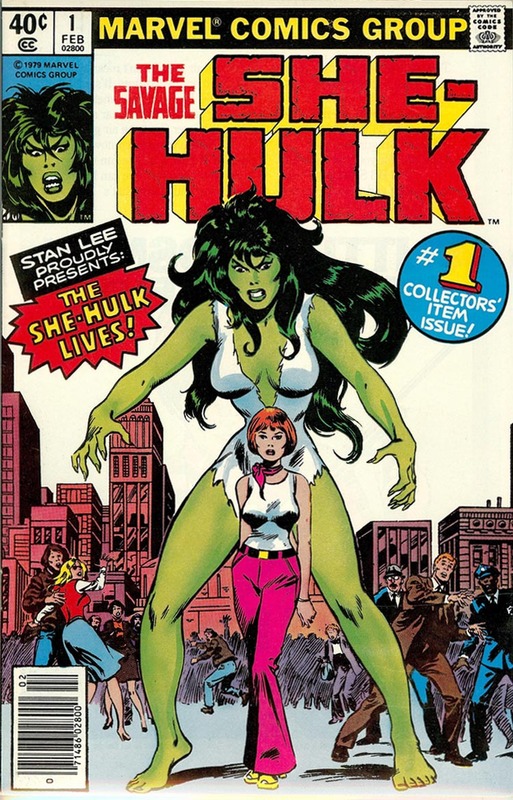 The She-hulk run of Marvel comics was one of my favorites growing up. Hulk's cousin Jennifer Walters (She-Hulk) didn't get the same attention that Hulk did but for me was always the more interesting Super Hero (plus I may have had a little teen crush on the green heroin). I had been hoping that she would be one day immortalised in LEGO for many years, but I didn't think there was much chance of that happening, until now (Cue that AAAAGGGGHHHH!!!!! again). LEGO continues to blow me away with all of their amazing releases, and this recent release has made me realise that if She-Hulk can make the cut then there is hope for some of the other characters that I would love to see getting the brick makeover. I'm still holding out for a comic style Baron Zemo (Maybe in a Thunderbolts kit) and a large buildable Galactus (possibly something I should just create myself). There are so many characters from the Marvel universe that LEGO could be producing kits that I adore forever! What is also great about these awesome kits is that with each new character release from the marvel universe, there comes more super hero education for the boys. They love anything that I loved as a kid and I have opened their eyes to the magical worlds of both LEGO and Marvel. Lego's Hulk Vs Red Hulk has everything the boys need for boisterous play. 4 Hulks for a full on tag team battle, trucks made for bashing and catapult that flings the characters about. This kit has got me and the boys talking about a big Hulk themed build, to house our hulks, so watch this space. HULK SMASH!!! Before I go to continue some solo LEGO building, I had to include Opeie's creation that had him rolling around on the floor laughing. Both hulks lost an arm and they became conjoined twins. Opeie had them doing all sorts of awkward things together. They look like a couple of drunk aggressive lads on a night out to me. I love Opeie's crazy LEGO role-play. This is what LEGO is all about. With the Lego Batman Movie hitting the cinemas and many Marvel Movies soon to be released, its going to be a big super hero fuelled year for LEGO and I'm excited to be a part of it. Happy building all! Mighty Micros post coming very soon (and they are AWESOME!). "Love is in the air, everywhere I look around"
"I need to get in to LEGO mode"
"All the things in nannys house are shiney"
Scarecrow and Bane dress up.